Located in southwestern China, Jiuzhaigou National Park is one of the most popular tourism destinations in China, famous for its unique aquatic ecosystems and beautiful forests. However, plants in the park may be at high ozone risk as a result of the intensive use of diesel tour buses in the park. In addition, Jiuzhaigou is close to a region with relatively high regional anthropogenic NOx emissions. During the growing season, also the peak season of tourism, we measured ozone concentration at two sites within the Park and these were: Jiuzhaigou Bureau (JB) and Long Lake (LL). The results indicate that ozone concentrations were not high enough to cause foliar injury during the monitoring period, although the risk of ozone to plants was higher in spring than in summer and autumn. Diurnal ozone cycles at JB and LL displayed significantly higher ozone concentrations in the daytime than in the nighttime, suggesting photochemical production of ozone during the day and ozone deposition during the night as a result of the nocturnal boundary layer. In parallel with the seasonal change of background surface ozone in the Northern Hemisphere, maximum daily 8-h average ozone concentration (MDA8) and daily ozone concentration decreased from spring to autumn at the two sites. This temporal variation in Jiuzhaigou was most likely associated with the downward mixing of ozone-rich air from the free troposphere, because all the high-ozone events (MDA8 > 70.0 ppb) were observed in spring and ozone-rich air from the free troposphere was the dominant cause. 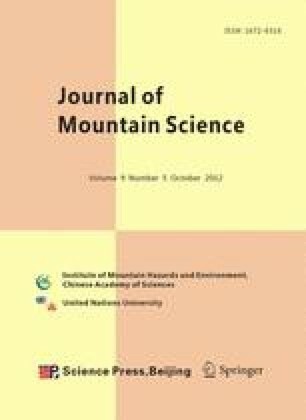 In summary, our data suggest that ozone concentrations in Jiuzhaigou were more affected by the regional-scale of background pattern in air quality and meteorological conditions than by local tourist activities. McCluney LO (2007) Calculating 8-hour ozone design values. http://www.epa.gov/ttn/airs/airsaqs/conference/AQS2007/Session%20Handouts/Calculating%20Design%20Values%20updated%202007.pdf. US National Park Service (2009) Air quality in National Parks-2008 Annual Performance & Progress Report. www.sfnps.org/air/2008_report.